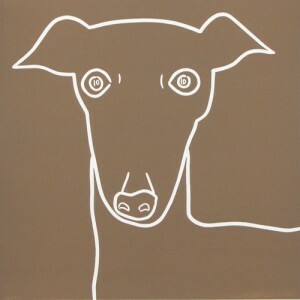 This portrait of the gentle ex-racing dog captures the elegant lines and quiet look of the dog. 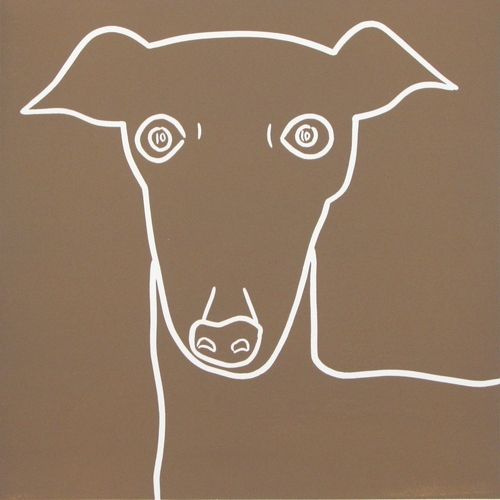 Greyhounds love the company of people and other animals and are often found curled up with the family cat. Although a strong animal, rough and tumble play is not for them, and they feel the cold more than most due to their lack of fat and short hair.